We are an OD consultancy specialising in, change, diversity, leadership and development. We’re here to work with you to help transform outcomes. We bring our whole life experiences, values and beliefs to our work. You get our passion, knowledge and skills. Our clients testify to the strength, warmth and understanding that we bring to our work with them. We truly want to make a difference for you, so achieving your outcomes is vitally important to us. We want our work to count – and our clients say it does. Listening to understand, and liberating unseen potential. Creating the future in the present, creating possibilities. The power of difference, a team and partnership approach. The long-term transformation, not the quick fix. Doing the stuff that really matters. We are skilled practitioners from diverse backgrounds and disciplines. We work with a passion for social justice, humanity, and generosity, personal and organizational effectiveness. We focus on your outcomes and work with a belief in greater possibilities. Eden has a passion for success and the ability to make it reality. His clients include leading organisations from nearly every sector of society. An innovative, challenging thinker, his personal style enables him to work alongside his clients through the difficult issues they face. Eden works globally with businesses and NGO’s, increasing leadership capacity of them and the individuals within them. He is experienced at working with political and cultural diversity, including culture change work at 10 Downing Street at a critical moment in British political life. Deborah works across the public sector, specialising in whole systems leadership, collaborative working and innovation in times of change. Her experience includes work with Local Authorities, Central Government departments, NHS CCGs, Hospital Trusts, and the third sector. 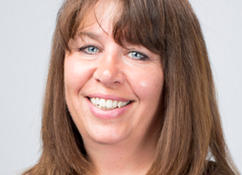 Deborah’s aim is to develop organisations and their leaders to be the best they can be. She has a passion for stimulating creative thinking, and her style builds trust and confidence. Her approach is actively inclusive and transformational. A public sector client says: ” Deborah handles difficult situations and people so that everyone feels included and respected. She has excellent interpersonal skills”. 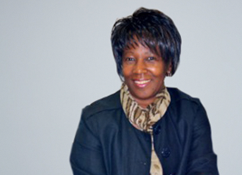 Deborah says: ” change generates difficult challenges for people. Helping them understand the connection between our past experience; current thinking; the paradigms we hold of how the world works; and our behaviour, can catalyse and empower them to change”. Ian has 25 years experience of training, strategic leadership and organisational learning and development across all sectors of business. 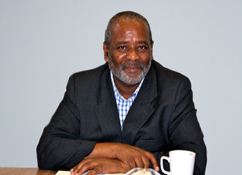 He has worked with many organisations on leadership development programmes. He is skilled in strategy planning, monitoring and evaluation. Ian loves to work with complexity and what works for success. He is inspired by working with others to co-create a rich future, bringing skills in mentoring and coaching to work through the most difficult challenges. 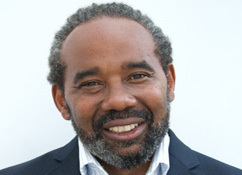 Ian is the lead consultant supporting the Ministry of Community Development, Community Development Fund, in Trinidad and Tobago with its visioning, strategic planning and implementation plans for 2014 – 2016. Ian partners the UN Development Programme (Bahrain), Arabian Gulf University, French Arabian Business School and Bahrain Institute of Public Administration to build capacity in strategic planning and resource development in public and nonprofit organisations in Bahrain and Kuwait. Jackie takes a systemic and appreciative approach to OD, team and individual development. Shebuilds confidence and robust practices so that teams and individuals can deliver effectively in the complexities of organisational life. Jackie believes in the ability and importance of the power of every voice to make a difference, and works to enable inclusive leadership in organisations and towards removing the barriers that are inhibiting progress. She creates space and builds trust so that individuals and organisations reveal the questions that really matter, and find new solutions and ways of working together. Jackie’s portfolio of clients comes from health, the private sector and local government. They include regulatory bodies, CCGs, Healthwatch, Public Health, Local Authorities, Finance and Retail companies. Abdul works collaboratively with public service organisations, using professional development to deliver better quality outcomes for service users, patients, clients, carers and end users. He creates uncommon conversations to inspire innovative approaches. Abdul’s wide-ranging skills include acting as leadership development programme developer, and equalities consultant, applying this expertise in areas such as recruitment and selection, transformational leadership development, policy frameworks, and other governance areas. 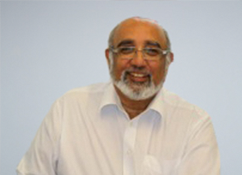 Abdul is an advocate of collaborative and appreciative approaches to change behaviours and refresh capabilities. 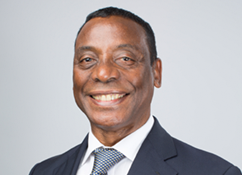 Abdul has contributed to greater equality and inclusion at both the highest strategic levels of national government policy, and in the personal sphere of leadership development programmes for diverse cohorts of participants in the Midlands. 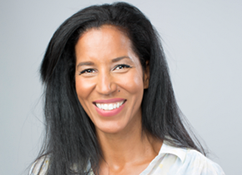 Dionne delivers courses with intention, simplicity and a level of insight that creates a space for people to generate and create themselves as the powerful individuals that they can become, for themselves and for their organisations . Dionne is a passionate and creative facilitator of change. Her experience ranges from public to private sector, and from socially excluded individuals to senior management. 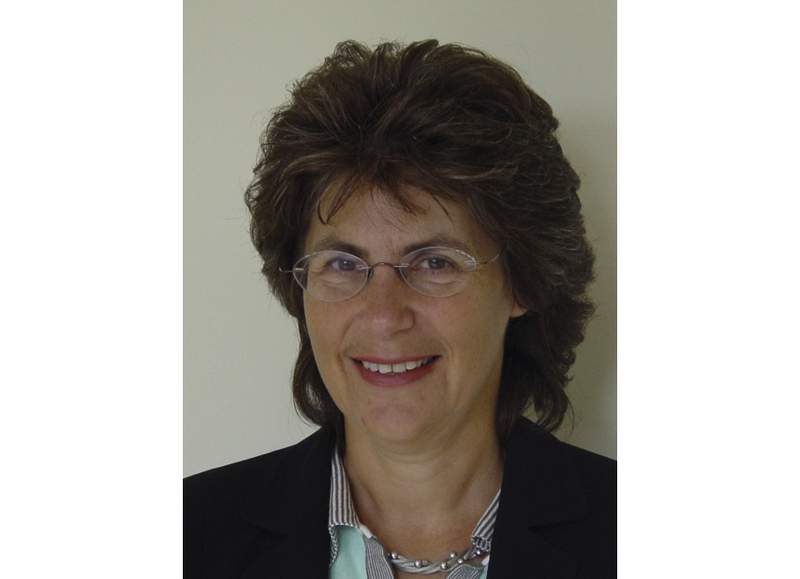 She is an associate consultant for Roffey Park Leadership and Management institute. Using the arts as a learning medium for a unique approach, Dionne has designed and delivered interventions for managers and senior leaders (classroom based, coaching and individual development support). Clients includeprivate sector and government organisations, local education authorities and councilsand third sector organisations. She waskeynote speaker at the annual FCO conference for British Overseas Territories Prison Directors. Sarah has wide experience of designing and delivering development activities,from small groups to national conferences, from front-line to Executive Board and CEOs. She believes that realising the potential of individuals is the starting point for transforming organisations. Sarah’s clients value her ability to listen and express ideas simply. They appreciate her empathy, gentle humour and skill in helping people into more difficult conversations. Her approach is both creative and practical, driven by the client’s needs. Her experience with children has taught her never to forget that encountering new ideas and concepts can and should be magical and exciting. Sarah is currently working with a large London law firm to embed new values and behaviours into all aspects of internal and external interactions. She is passionate about creating long-term collaborative relationships that simultaneously support and challenge. An experienced change manager and organisational development consultant, Philippa helps clients increase their creativity and transform challenges into opportunities. Her empathetic and grounded approach supports organisations to succeed through the collaboration and contribution of their people. 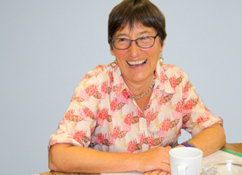 Before joining POL,Philippa worked at Board level with a number of large and complex local government organisations.She supports her clients to move beyond tick box action plans, and no matter how difficult or complex the circumstances,to think creatively and generatively about themselves and their organisations. Her recent work includes developing organisational competencies (now embedded in the new appraisal framework) for a Clinical Commissioning Group. Her design for their 360 process and Personal Development Plans achieved 100% compliance and excellent feedback. 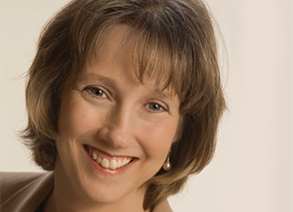 Philippa has substantial experience of coaching executives and their teams, as well as aspirant leaders. Louise brings private sector HR and L&D experience to cross-sector work with individuals and teams, improving communication, relationships and performance. Her aim for her clients is enhanced performance and a better working life that contributes to personal and organisational success. Louise’s many learning design/delivery assignments for private and public sector clients earn consistently excellent evaluations. Her style is honest, open and warm, working collaboratively to achieve objectives, building trust and reducing barriers to change. Louise is interested in how both organisation and personal objectives can be achieved, to create a more humane, productive and satisfying workplace for all. In particular she enjoys supporting line managers’ skill development to enable them to get the most from their teams through a better experience at work. With over 20 years experience in healthcare as a clinician, manager and Executive Board Director,Jacynth is passionate about people and serious about results. Solution focused, she is able to connect with the unseen and unheard, impacting on organisations’ culture and productivity. She is a creative thinker, contributing to national nursing policy and practice at strategic level. Consultancy assignments have included National Audit Office, Third Sector Organisations and a range of NHS organisations. 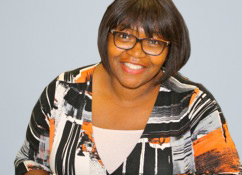 For the NHS, Jacynth designed and delivered positive action leadership programmes for Black and Minority Ethnic managers at national and local level. In under six months, post -programme, over 60% of participants had achieved more senior positions. Jacynth makes a real difference for individuals and organisations through values of authenticity, fairness and equity and approaches of possibility thinking, support and challenge. With a blue chip career in marketing, change management and culture change consultancy grounded in commercial realities, Wendi now focuses on leadership coaching and highly flexible change support, with a commitment to consistent quality and a focus on the needs of the client. Wendi believes in the power of choices, and sees her role as a coach and consultant often to be about helping people see the freedom they have rather than the assumptions that bind them. Wendi measures her success by that of her clients, and the sustainability of solutions achieved. As a result she has long-standing client relationships – and also relishes the opportunity to help new clients find a route through confusion as well as a shared structure for their thinking. Recent clients have been in healthcare, pharmaceutical and financial services. A Chartered occupational psychologist, Stephen helps clients to attract, recruit and select the best candidates; develop leadership skills; and build high performing teams. He is passionate about personal development, and motivated by empowering others to identify and achieve their development goals. Stephen applies a combination of psychological insights and action learning techniques to the workplace. These include assessment centres as part of recruitment and selection, and using development centre techniques and action learning methodologies to unlock the potential of individuals to contribute to organisational goals. For the United Nations’ senior managers, Stephen devised and delivered training programmes to produce major shifts in their capabilities and styles. He worked closely with a major Housing Association’s Directors and senior managers over several years, to devise and implement major policy changes, and supporting development programmes,to improve their effectiveness through rapid growth and change. Christine inspires the trust and confidence of clients, keeps a clear focus on their goals, and sculpts bespoke solutions. 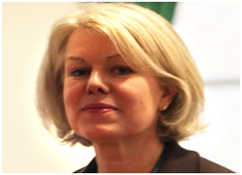 She has extensive experience of developing leadership capabilities of individuals, teams and across organizations. Christine supports, inspires and develops others to reach their potential. She cares passionately about the growth and development of people, and creatively maximises opportunities to broaden their experiences and skills. 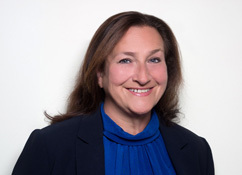 Christine draws on her work as a Psychodynamic Psychotherapist and NLP Master Practitioner in designing and implementing tailored engagement and consultation activities. Her achievements include collaboration with the NHS Leadership Academy to design and deliver a bespoke programme for Mary Seacole Scholars, and leading on the Royal College of Nursing’s Clinical Leadership programme. 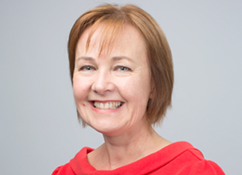 For over 20 years Sue has worked at senior and middle levels of management as a Consultant, Facilitator, Executive Coach and Leadership Team Coach in a range of private, public sector and not-for-profit organisations. In her leadership development work she models a collaborative approach that cuts across traditional ‘silo’ thinking and encourages innovation and changed ways of working. She is passionate about enabling greater leadership at all levels of an organisation and engaging people in organisational and cultural change. She also works with traditionally social disadvantaged individuals and groups, helping them connect to and realise their leadership potential. Clients see her greatest strengths asgiving high quality standards of individual attention, being very supportive, while helping cut through complexity, seeing the bigger picture, stimulating fresh perspectives, building confidence and a stronger sense of Self. All of this results in people ‘stepping up’ in their individual and collective leadership contribution. Sectors worked in include Health, Universities, Education, Criminal Justice and the Private Sector. Working with POL has really Improved our communications and give us a strong sense of our aims and purpose. They have taken us from inception … on a fantastic journey of discovery through difficult territory out into the light! I completely whole heartedly recommend People Opportunities to you with a strength of feeling and passion. POL are inclusive, challenging, thought provoking and built on our capability to continue the journey. They are incredibly skilled, we were and you will be safe in their hands as they push you to challenge yourselves. Our clients and programme participants gain the learning and experience they need through processes and interventions that are challenging, supportive and engaging. We believe in positive change that goes far beyond making small shifts to a transformation of thinking, motivations and behaviours, to create a different future. Change can be difficult and uncomfortable. We draw upon our experience in Organisational Development and Human Resource Management to ease the changes you want and need to make, and to reap unexpected benefits. Help leaders to consider and make shifts in how they engage and communicate with others, to ensure consistency in the message and the messenger. Facilitate change strategy design, to ensure all voices contribute constructively. Support leadership teams and strategists in designing flexible change processes. Build sustainability into strategic plans. Help your organisation to tell the stories that will communicate change, convince the head and persuade the heart. Engage stakeholders in creative ways to maximize success. We live and breathe diversity. Our practitioners embody difference in ethnicity, gender, faith, class, sexual orientation, and disability. This gives our interventions real power and impact, achieving an outstanding track record in delivering projects and programmes that lead to sustained success for our clients. We work to understand your aims, aspirations and issues, and turn these into highly effective interventions. We address attitudes and beliefs that block personal change, using technical and theoretical inputs and real life issues as the basis of learning, and in partnership with participants. We ensure they develop a toolkit of concepts, knowledge, strategies and transferable skills designed for their future. Complete program development, incorporating a blend of elements. Spreading fair selection principles and skills. Co-design and facilitation of centres with you. Train and use your nominated in-house assessors. Engage centre attendees as co-assessors of their own performance and development needs. Coaching as part of the centre process. Coaching enables individuals to make positive changes in organisational and personal life. It provides a safe space for exploration and challenge supporting all aspects of development. Coaching within other development programmes brings other learning back to personal reflection and commitment, and maximize the benefits of other interventions. Develops personal resilience, adaptability and strategic thinking. Builds self awareness and understanding of personal impact. Enables exploration and development of skills to build better relationships. Enables coaches to consider options and develop strategies to achieve them. Increasingly, organisations are appreciating its impact on skills and mindsets. Action learning helps to embed change into everyday culture. Your organisation will benefit from including Action Learning within development programmes, meeting both individual and system needs. You can also use it as a cost-effective stand-alone development intervention; and we run ILM accredited programmes to train your own Action Learning set facilitators. Enables participants to identify and seize opportunities as well as solve problems. Maximizes the learning from other development programmes. Embeds learning and change into organizational practice. Provides a creative space for developing strategy and innovative approaches to issues. Bullying and harassment are highly destructive behaviours damaging individuals and working environments, with knock-on effects on relationships, productivity, and performance. We can help you change these behaviours, working with you to foster a culture of respect and create a better workplace, where people are free and happy to give of their best. Co-creating policies, and developing strategies for implementation. Design and delivery of induction and training. We are an accredited ILM training centre, providing high quality delivery to develop Action Learning set facilitators who can contribute to individual and organisational transformation. The ILM recognises our expertise in delivering training with real results that make a difference for you. Their rigorous approval process is your guarantee of an excellent standard of professionalism, care and flexibility in meeting your organisation’s learning needs. Our approach to developing facilitators goes beyond transactional skills to develop confidence to work with ambiguity and inspire sets to move towards third order thinking. Our pass rates are above 90%. We are happy to put together bespoke programmes for your organisation. We also offer open programmes twice a year. Please contact us for details. Your Enquiry will be dealt with within two working days.